This is a mind map I created from the discussions in the Beijing meeting of GSS. It covers the main topics and buzz words. I thought I share it, as it might be helpful to some of you to keep an overview of the various topics. It sure was for me. Comments are always welcome, so are additions in terms of cross-cutting themes or whatever you can think of. 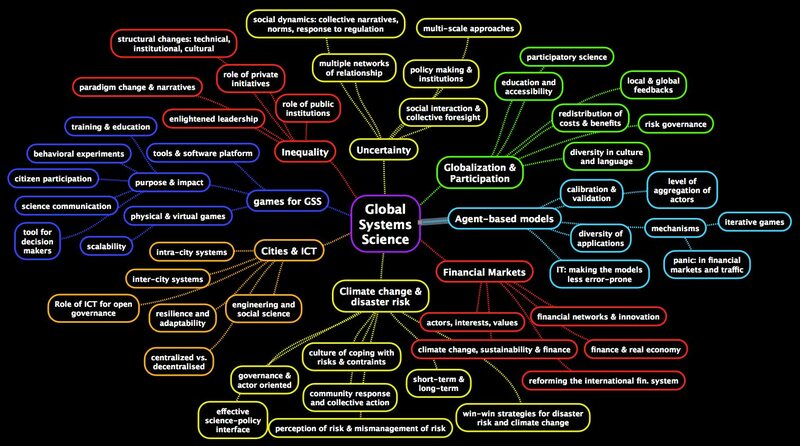 I liked very much the mind map of the GSS meeting that you have created. Congratulations for that! :) Could you please share to me the software or special programme you used for that? Hi Jose, thanks! I used SimpleMind (freeware mind map program).